Carpal tunnel syndrome (CTS), so the background to one of several Cochrane Reviews on its treatment tells me, is a compressive neuropathic disorder at the level of the wrist. The median nerve is compressed in the carpal tunnel, a passageway between structures. My husband, Tim, on the eve of having surgery for CTS, tells me it is “incredible pain on trying to use my hands, lack of real sensation combined with phantom sensation, and lack of sleep due to pain”. It has made working impossible. With Tim spending much of every night out of bed, getting what little relief he can by standing up, the only beneficiary has been our cat, who now has company round the clock. Prior to surgery, Tim has tried splinting and a steroid injection, but there are other non-surgical treatments too. Looking at the evidence for the different approaches from a number of Cochrane Reviews, I’ve found that it is mostly very poor, so much uncertainty remains about the benefits and harms of treatments. Let’s take a look. Splinting will commonly be offered to people with mild to moderate symptoms of CTS. As Tim’s splints are more often to be seen lying around the house than on his wrists, I assumed they have been of limited use to him. He says he has found them helpful at night only some of the time and horrible in hot weather. When travelling on public transport, they have been useful as an indicator to others that he has a difficulty and may need a seat – holding a rail has been out of the question for some time. A Cochrane Review aimed to find out how well splinting compares with no treatment or another non-surgical option, and how splint types and regimes compare. Despite the inclusion of 19 studies with 1190 people, they found insufficient evidence on the safety and effectiveness of one splint design or regime over another, and on how splint wearing compares with other non-surgical options. Wearing a splint at night may be more effective than not wearing one in the short term, they found, while long-term effects are unknown. A Cochrane Review found “limited and very low quality evidence” on the effectiveness and safety of a diverse collection of exercise and mobilisation interventions for CTS, including a variety of exercises targeting the carpal bones or soft tissue, or exercise involving the whole body, such as yoga. Are modified keyboards, for example, likely to be any help to the person with CTS? Might they make things worse? This Cochrane Review highlighted that we don’t know, there being insufficient evidence to tell us. The Cochrane Review looking at this is now rather old but an update is expected in 2019. It includes 12 studies with 671 people. The authors found evidence from two high quality randomised trials that participants demonstrated clinical improvement of CTS at one month or less following local corticosteroid injection compared to placebo injection, but say that improvement after one month has not been shown. For Tim, it caused a lot of pain at the time with no apparent benefit afterwards. Low-level laser therapy (LLLT) is an alternative to other non-surgical treatments for CTS but its use is controversial. Disappointingly, a recent Cochrane Review concludes that “the evidence is of very low quality and we found no data to support any clinical effect of LLLT in treating CTS.” Only one study out of the 22 included reported on harms, so the safety of this intervention is also uncertain. 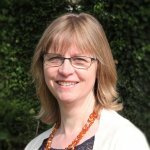 Therapeutic ultrasound may be better than placebo for improving the symptoms of CTS, finds this Cochrane Review, but the evidence is only low-certainty, and there is insufficient evidence to support one therapeutic ultrasound regime over another, or to say how it compares with other non-surgical interventions. A Cochrane Review on acupuncture for CTS has been updated this month but the evidence remains poor. The authors concluded that acupuncture may have little or no effect on CTS symptoms, compared with placebo or sham acupuncture, and how it compares with other non-surgical treatments is uncertain. Whilst no serious adverse events were reported, not all studies provided data on harms. 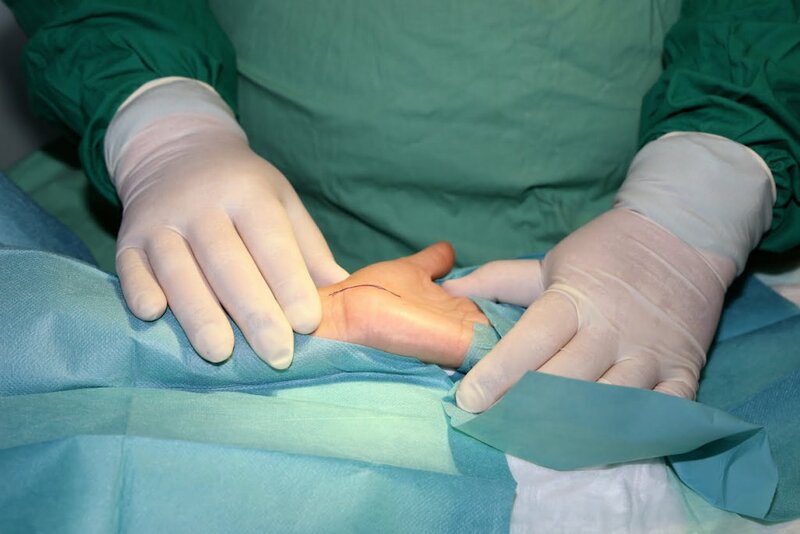 Surgical treatment involves releasing pressure on the nerve by cutting the transverse carpal ligament. This can be done with open surgery or endoscopically. A Cochrane Review exploring this was able to draw on 28 studies with 2586 hands. 23 compared endoscopic carpal tunnel release (ECTR) with open carpal tunnel release (OCTR); five compared ECTR with OCTR using a modified incision and two compared ECTR, modified OCTR and standard OCTR. Drawing mostly on low-certainty evidence, the authors found that ECTR and OCTR may be comparable in relieving symptoms and improving function, although ECTR probably results in a greater improvement in grip strength and may be associated with fewer minor complications. They found no difference in the incidence of serious complications, which were few. With a choice of absorbable or non-absorbable material used to stitch the wound after carpal tunnel surgery, is one better than the other? This Cochrane Review highlighted uncertainty about how they compare in terms of pain, hand function, scar satisfaction or wound inflammation, due to very low-certainty evidence. However there’s an obvious advantage with absorbable stitches, which is that they don’t need removing. 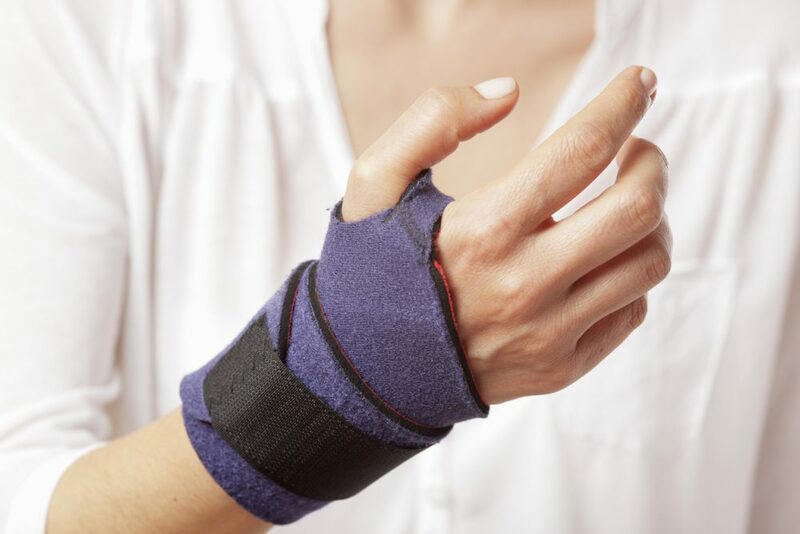 Another Cochrane Review, which is now rather old, concluded that surgery was better than splinting, but that more research was needed to establish whether that is so for people with mild symptoms, and how it compares to steroid injections. First of all I have to declare an interest as one of the authors of the forthcoming revision of the steroid treatment review. As it’s not out yet I can’t say much about the findings but it’s fair to say that there is a considerable amount of new evidence to add to the old review. The story of a very painful, ineffective injection is interesting. We have studied injection pain in a series of over 1000 injections and the mean score on a conventional 0-10 pain scale is about 2 so if these injections are done competently they really should NOT be very painful. The commonest reason for a severely painful injection is misplacement of the needle in the median nerve rather than in the surrounding tissues. Intraneural injection IS very painful and, depending on what is injected, can probably cause further median nerve injury in some cases, though we are currently involved in following up 22 probable cases and most do seem to have made a long term satisfactory recovery. One would therefore wonder if Tim’s injection was intra-neural, which would account for both the pain and the lack of efficacy. About 80% of CTS patients do gain at least short-term relief from steroid injection. There is hardly any evidence relating to second and subsequent injections either and the topic of managing CTS with serial injections also needs study, despite eh fact that this approach is frequently used in general practice and rheumatology. Your rather depressing review of the state of evidence for almost everything else in the blog is, alas, accurate, and it is sad that such a common, and easy to study condition as CTS does not have a better evidence base for treatment. We are just about to publish a further RCT of ultrasound treatment which will no doubt be added to that analysis. There is no doubt however that surgery is ‘effective’ in alleviating symptoms, despite its recent inclusion in an NHSE list of procedures of limited clinical effectiveness (NHSE have since modified the language of this a bit). You make no mention of nerve conduction studies as a means of evaluating the severity of the nerve damage. There is no Cochrane review on the topic so that is perhaps understandable but it is an area of considerable controversy between ourselves in neurophysiology and the hand surgeons… and another area which is crying out for some well designed studies – the one published study which purports to show that management without NCS is as successful as management with them is a prime example of methodology so inadequate that it can be used to teach what mistakes to avoid in experimental design. Thank you very much for this detailed and helpful comment. I will be sure to update the blog when the steroid treatment review is published, and it’s good to hear there’s plenty of new evidence. Tim was very interested to hear what you’ve told us here. He says the pain from the injection was easily 9 on 0-10 scale and his symptoms worsened afterwards. He did have nerve conduction tests and said that the person doing them was the first person to say, from touching his wrist, that he had severe CTS, where several physios and two GPs had been unclear. A great relief to him to get this done and then have surgery (second one to follow). You are quite right that nerve conduction studies weren’t mentioned as there is no review on them and I don’t have specific expertise in this field. This is an example of why we delight in being able to get guest blogs, or comments to add to blogs, by people with relevant expertise, who can go beyond summaries of the reviews. Hmm, maybe we should think about a whole blog on the steroid review update? If so, I will be getting back to you!